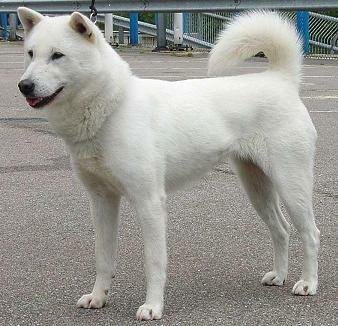 The Kishu is historically a large game hunting dog and is designated a National Treasure in Japan. Today, now that large game hunting is disappearing, the Kishu is becoming more and more a family dog. It gets along well with children who will not tease it. However, its hunting instincts are still strong and it retains a “high prey” drive. It should be raised as a puppy with other family pets to help guarentee a peaceful household. It is a clean dog, calm and quite. It is usually wary of strangers and makes a good guard dog. 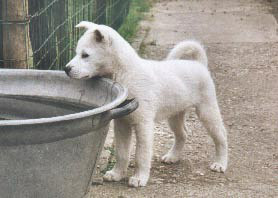 The Kishu is a headstrong breed that requires training and socialization from an early age. They are better suited for a rural life rather than urban, and its best if they had a large, fenced yard to run and “hunt”. Regular daily walks on a leash are required if the dog cannot exercise in the yard. Don’t be surprised to find them in a tree. Harsh and straight Weekly brushing Needs a stong, experienced Alpha companion.